There is no shortage of incredible beauty along the northern Oregon coast, and finding an adventure for a day or several is a blissfully easy task. There can be days, however, when it seems as if everyone got the same memo: there is nothing like showing up primed for an adventure and realizing you may not even find a parking space. While we don’t want to sound grumpy, enjoying a few miles of solitude in this region can be a real treat. With this in mind, we’ve assembled a list of adventures in the northern Oregon coast that don’t get the pressure some more well-known spots receive. 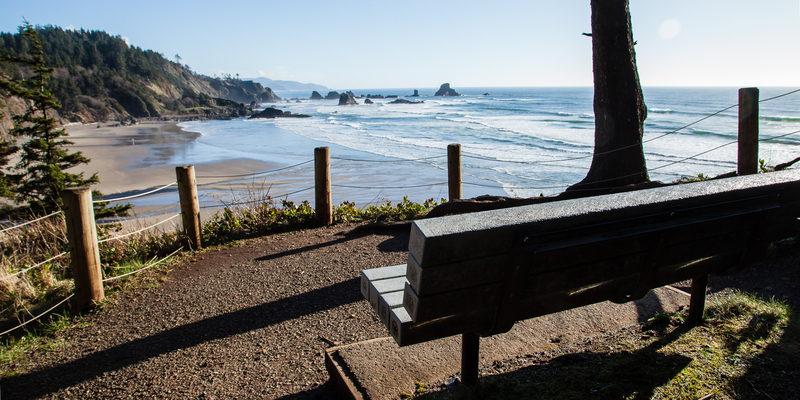 If you’re up for a little walking, getting some one-on-one time with the northern Oregon coast is easy to do. So grab a pack, and maybe some waterproof shoes, and get after it! 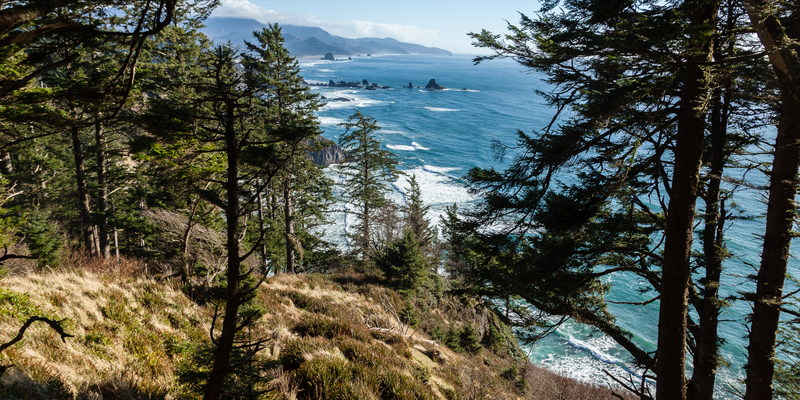 Get a workout and some incredible views on this hike up one of the highest points on Oregon’s coastline. It’s worth waiting for a clear day so you can fully appreciate the perspectives this massive overlook provides. The 1,680-foot summit of Neahkahnie overlooks Manzanita to the south and the Nehalem Estuary to the southeast, and if you make the trek in the summer you’ll be treated to a robust wildflower display. Grab a bunk and stay overnight in Hiker’s Camp, explore a World War II bunker, and work your way over a massive basalt headland for splendid views some 1,200 feet above the Pacific. The full walk across Tillamook Head from Ecola State Park to the town of Seaside is a highlight in the region, and it is just a little more than 5 miles one-way if you arrange for a shuttle. Alternately, the Clatsop Loop includes some of the highlights from this spectacular area, and it returns to the Ecola State Park Trailhead. Indian Beach from the Clatsop Loop. Photo by Halvor Tweto. While technically on the east side of the Coast Range, this unique trail provides an intimate look at the Port of Tillamook Bay Railway that once connected Portland with one of the most vibrant agricultural and coastal hubs on this section of coast. Agricultural and timber commerce have played enormous roles in Oregon’s coastal communities, and this railway was an integral artery for commerce before a 2007 storm destroyed huge sections of track. The railway remains walkable, however, and it is a fascinating corridor to explore. This very same Salmonberry Corridor was an artery for tourists at the turn of the 20th century who traveled by train from Portland to Tillamook, then by boat across the bay, all to reach Bayocean. Once home to a resort town that bustled with crowds of people, the Bayocean Peninsula is now a great bet for a solitary, multi-day backpacking trip. Several trails lead through this healthy coastal ecosystem, so you’ll have plenty of opportunities to explore and escape. Overnight on the Bayocean Peninsula. Photo by Tyson Gillard. This less popular but no less beautiful hike to Heart’s Cove on Cascade Head is a must-see trail for those looking for a classic summer adventure on the Oregon coast (note that the trail is closed from January 1 through July 15). Old-growth Sitka spruce, wildflower-filled meadows, cascading streams, and an intimate cove are all on the menu for travelers who care to explore this segment of the headland. The hike is short and the scenery is beautiful, so bring your provisions, a blanket, and spend a little down time in this remarkable area. 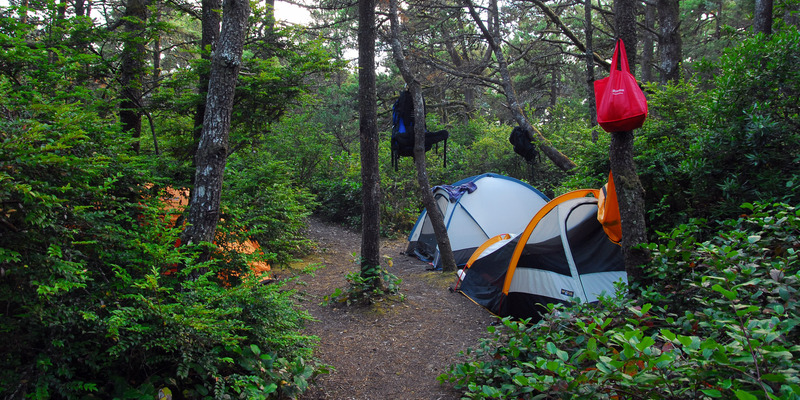 Have a favorite and underrepresented adventure on the northern Oregon coast? Know a spot that everyone else seems to overlook? Drop a line in the comments section and be heard! And if you are lucky enough to be exploring larger sections of the coast, check out the series installments covering the central and southern regions.